Weekly Happenings: I can’t really think of anything too epic that happened this past week. It was a pretty low-key week. 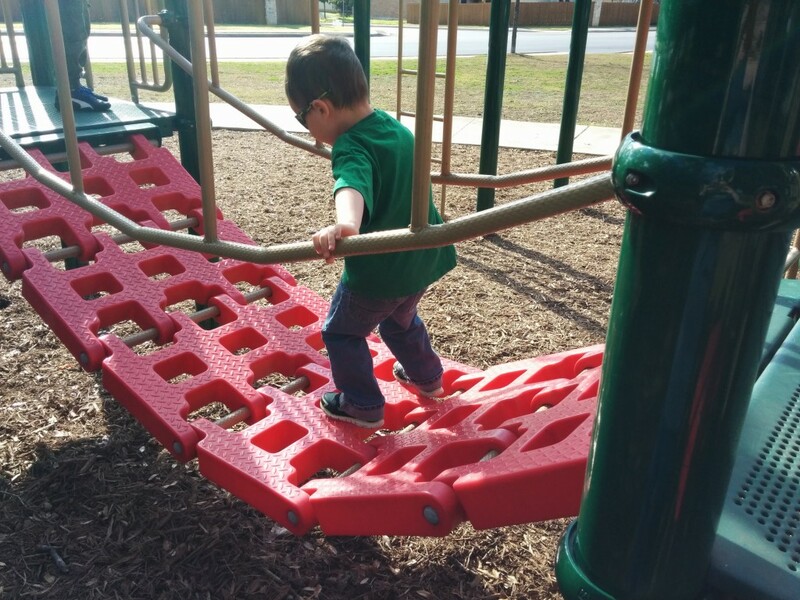 We did go to the park a few times, since the weather was so cooperative. We also went out on a family date night on Friday, just for fun. We went to Freddy’s (one of Joseph’s favorites) for dinner and then stopped by the new Bahama Buck’s (shaved ice place) for dessert. Other than that, it was a pretty normal week. 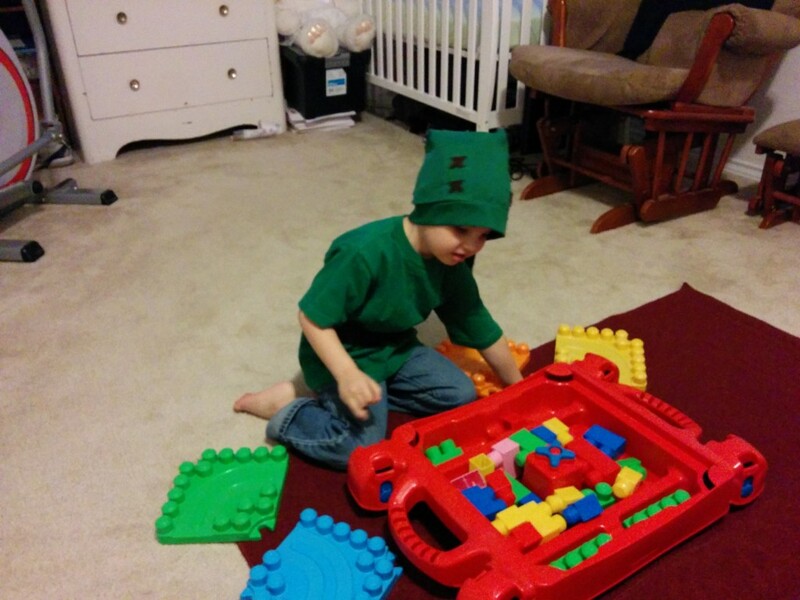 Joseph spent quite a bit of the past week pretending to be different people (Mario, Link, etc.) 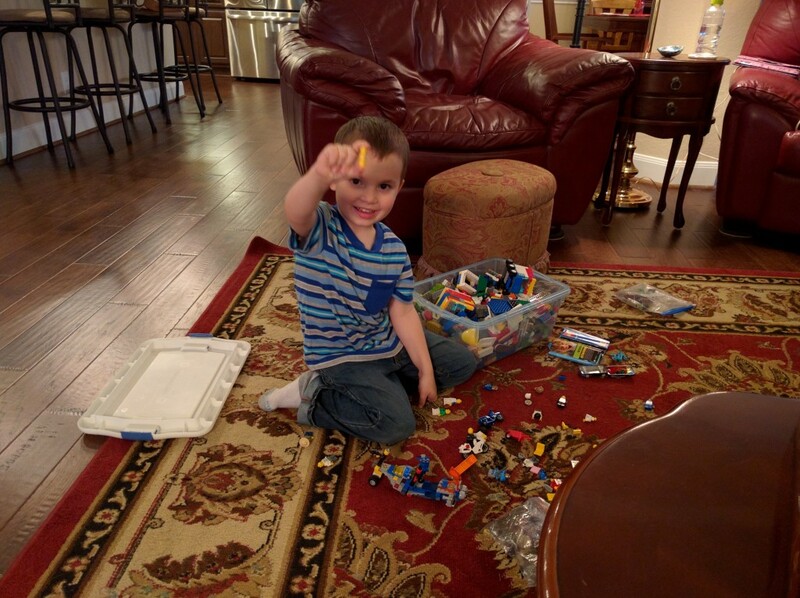 and playing with his LEGOS (hence the title of the post today). The Weekly Weather: It’s been gorgeous! There were a few days that were cold enough to need a jacket, but there were also a few where we were in short sleeves. 🙂 One thing I haven’t been loving is the mountain cedar pollen. It has been making my allergies pretty insufferable if I forget to take my medicine. 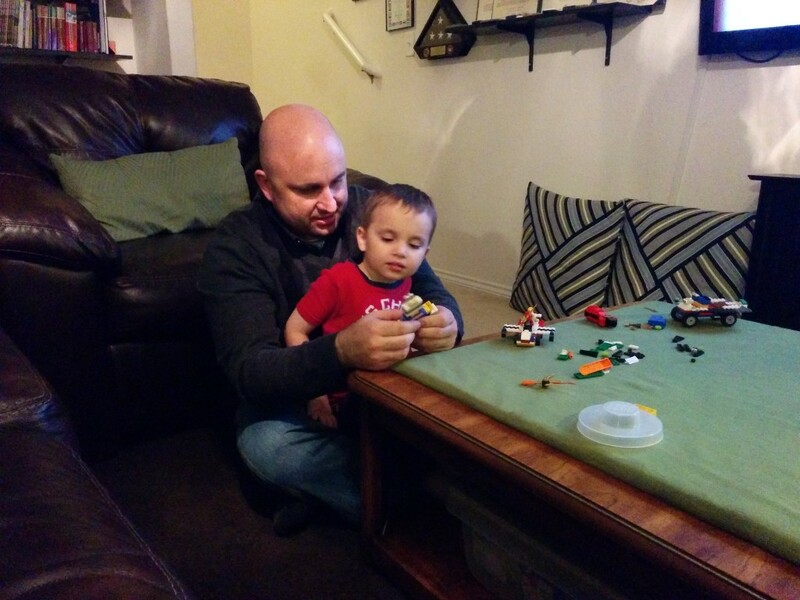 What Joseph’s Been Up To: He’s been doing a lot of imaginative play, a bit of video game playing, and a surprising amount of LEGO creating. He also continues to be quite the sweet boy. The mom of one of the girls in his Primary class told me that her daughter said that when she grew up, she wanted to marry Joseph because he was a nice boy. 🙂 We had a good laugh about that. He wanted to wear his Link costume, so I pulled the belt and hat out of his closet. He wore them all day (except for when we went to the store, thank goodness). 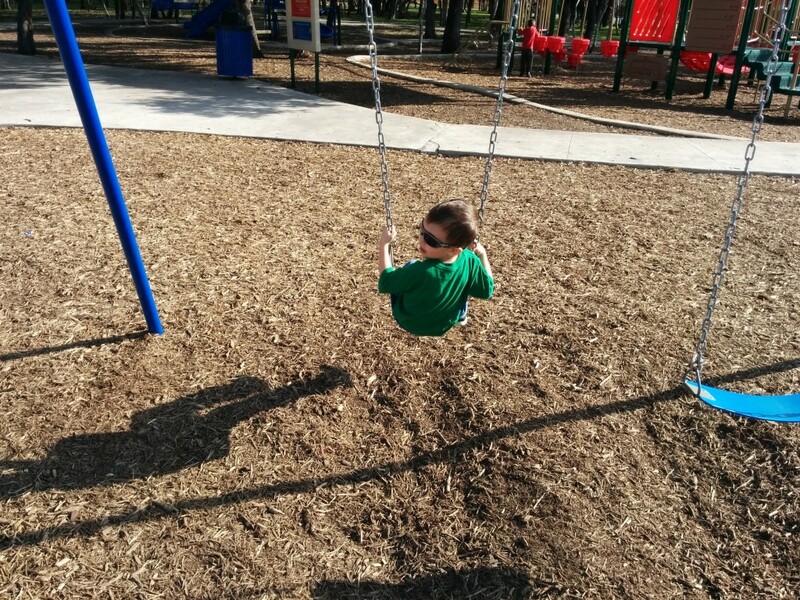 The swings at the park are so much fun (especially when Momma does “underdog”)! 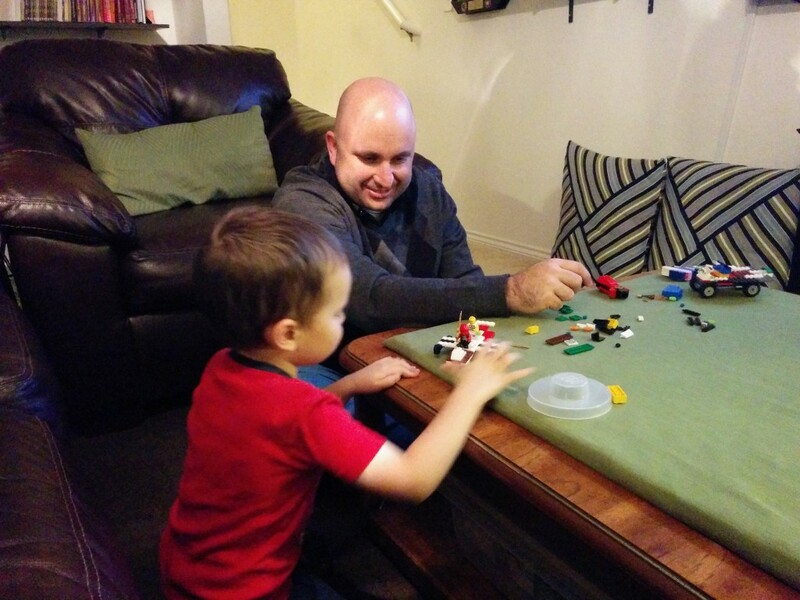 Playing with Daddy AND LEGOS?! Double win! Working together to build a robot. Last night we went over to a friend’s (I call her Joseph’s San Antonio grandma) to have supper with her and her family. After dinner, she had one of her daughters pull out some LEGOS for Joseph to play with. He was so excited!